An early preview release Git v2.16.0-rc0 is now available for testing at the usual places. It is comprised of 435 non-merge commits since v2.15.0, contributed by 76 people, 22 of which are new faces. Not goodbye, but hello to a new music player on my desktop. 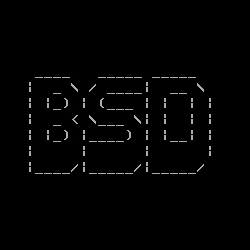 It is already packaged for FreeBSD and has a long development history. Music players stand or fall per individual user whether they satisfy the user’s needs — no duh there, but it means I should note what my use cases are before enthusing about some music player in particular. I would be fine with playing music from the command-line, most of the time: mpg123 --shuffle /mnt/music/*/*/* is just about right (except it fails with an argument list too long error in the shell). This is for music-while-I-hack, so I don’t listen too closely, it’s not hi-fi at all, basically I want “play in a genre until I switch it off“. Tagging is largely done when ripping my CDs (I still buy physical media!) and I don’t care for album art (I can look in the jewel case if I want that, and they’re all stacked in boxes upstairs). So play, pause, stop .. and if it can avoid mixing Mahler with Morrissey and Mötorhead, that’s a bonus. I’m looking forward to KDE music players Elisa and Babe, for comparison purposes: maybe they tick my requirements-boxes just as well, or better. Certainly Elisa seems to be fairly playing-music-focused. I’ve even got a FreeBSD port for Elisa ready, just waiting for Qt 5.9 to show up on my doorstep (I can get it to compile against 5.7, but it won’t run due to QML runtime thingies). The default file manager Thunar got two updates from developer Andre Miranda. Once for the current stable branch version 1.6.3 was released, mainly bugfixes and updates of the translations. Much more interesting is the simultaneously released version 1.7.0, because this is the first one with a view towards Xfce 4.14. The KDE-aligned Krita digital painting software has published a retrospective of 2017 and a look ahead to 2018. The Krita project is planning to put their 4.0 string freeze into effect at end of day on New Year's Eve. If all goes as planned, the Krita 4.0 release will then happen in March. 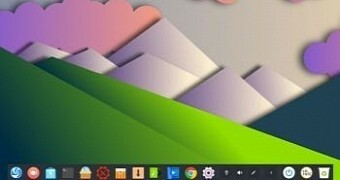 The package means it’s now more convenient for fans of Spotify to install the official client on Ubuntu desktops as no external downloads or repo commands are required.